Friday it was time to get to know the place where the seminar takes place – Krzyżowa – and have a look at some of the stories told there. 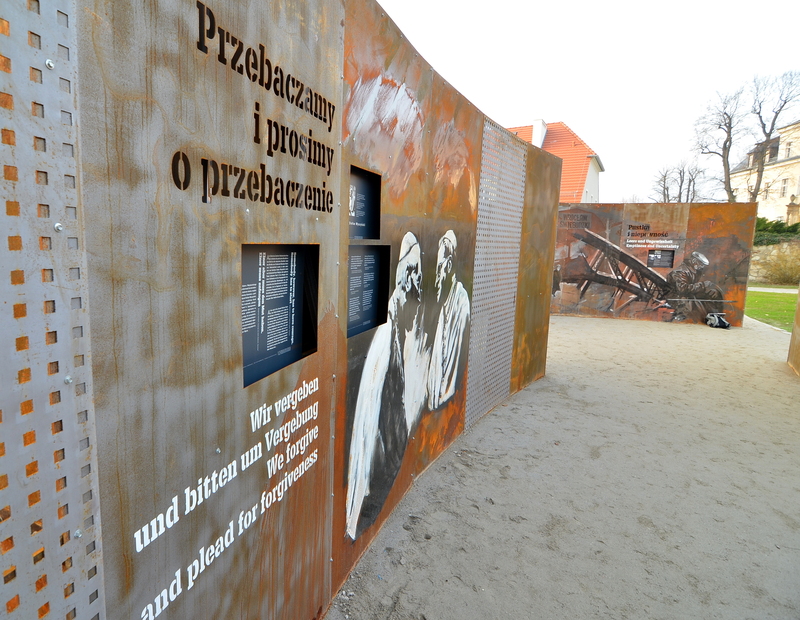 After a quick overview of the Krzyżowa Foundation’s history and departments, the group split to learn more – either about the Kreisau circle in the House on the Hill or about Polish-German reconciliation – in the permanent exhibition „Courage and Reconciliation”. This post follows the group entering the exhibition. Long and intense discussions – and sometimes very different stories of the “same event”.